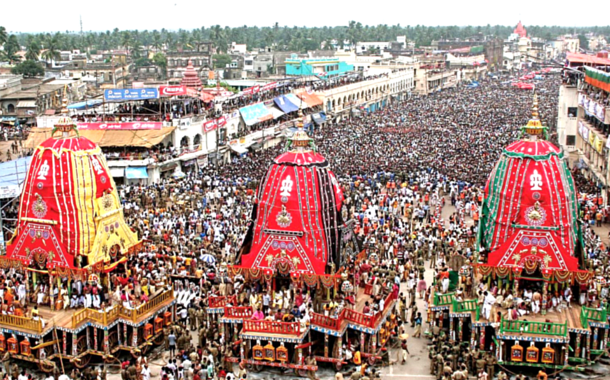 The vibrant Ratha Yatra or Chariot Festival has begun with pomp in the city of Puri, Odisha. The magnificent Jagannath temple, one of the Char Dham pilgrimage sites and an important tourist spot in India, houses three wooden idols of Lord Jagannath(Lord Krishna), Balabhadra and Subhadra. During the Rath Yatra, these idols are taken out in a procession to Gundicha Temple. 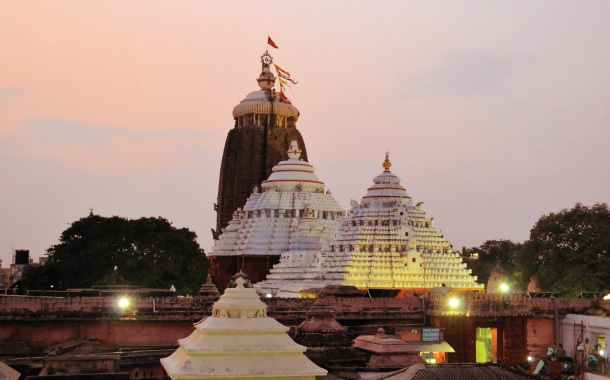 After nine days, the deities are returned back on chariots to the Jagannath temple. According to one of the legends, King Indradyumna performed a yagna and found a wood with sacred markings on it near a shore. Within a moment, there appeared a carpenter who agreed to shape the wood in a closed room without being disturbed. Days passed and the King got impatient, so he opened the door and to his amazement, he found no one inside except some half finished idols. Believing that Lord Krishna had disguised himself as the carpenter, he installed these pious idols in the temple. If you are in Puri during the Rath Yatra, you will see enthusiastic devotees pulling huge, beautifully decorated wooden chariots carrying the idols of Gods. The whiff of fragrant flowers and sound of devotional music adds to the excitement of this grand festival which is attended by a large number of people from all over the country. You will see the Gajapati King, dressed as a sweeper, cleaning the road before the chariots with a gold-handled broom and sprinkling sandalwood water. This ritual is known as ‘Chhera Pahara’. It symbolises the fact that everyone is equal in the eyes of God - be it a King or a common man. You will fall in love with the scrumptious sweet called ‘Khaja’, made of fried dough and dipped in sugar syrup which is sold near the Jagannath Temple. It is also believed to be the Lord’s favourite. Legend has it that Samba, the son of Lord Krishna, was cursed with leprosy. He prayed to the Sun God for years to cure his ailment. 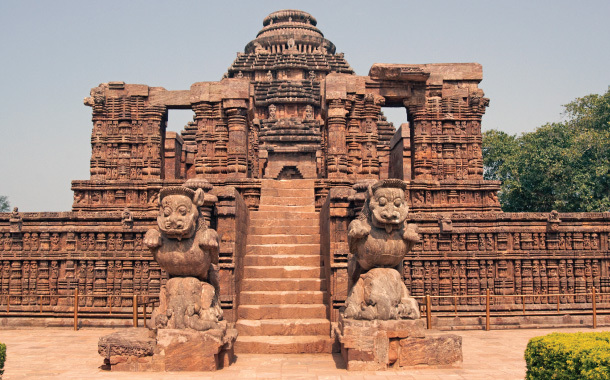 After he got cured, he built this magnificent temple as a tribute to the Sun God. So book your flight tickets and go visit the beautiful state of Odisha where this mystical Rath Yatra is held every year.